I cook with lemons on a regular basis. We love roasting our asparagus in the oven then squeezing fresh lemon juice and lemon zest on top. Most of my fish and chicken dishes have a dash of lemon in the marinade or sauce. And you can’t beat fresh pulpy lemon juice in a summery cocktail! 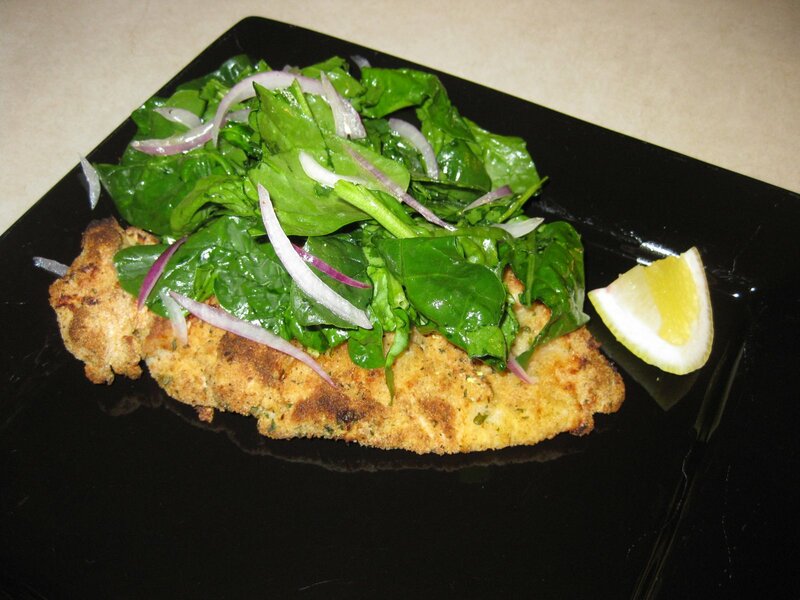 As I was cleaning through my piles of torn-out magazine recipes, I saw Martha Stewart’s magazine Everyday Food’s recipe for Chicken Milanese with Arugula Salad and a side dish of Lemon and Pine-Nut Rice. Sounded like the perfect fresh, light Sunday dinner! Though it calls for arugula as the main greens for the salad, we used our remaining (and massive!) spinach leaves from the farmer’s market. We also utilized the small red onions picked up from the produce stand last Sunday from the Market at Belmar (our version of downtown Lakewood). We also skipped making our own breadcrumbs and chose the store-bought Italian breadcrumbs. 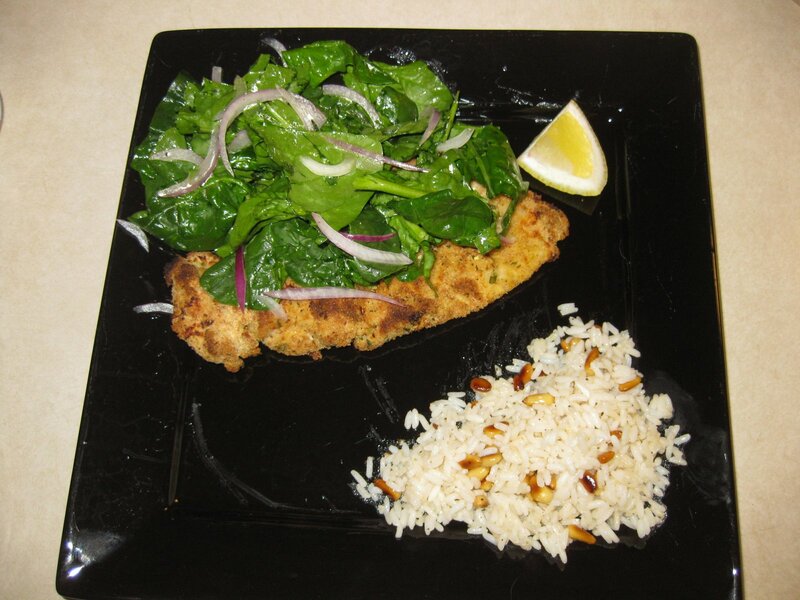 The Result: Tart-laced spinach with the cut of red onions, layered on top crunchy, seasoned chicken breast and a zesty mixture of toasty pine nuts, long grain rice and lemon kick!